The “Health in Prison” Project, lasted fourteen months between December 1, 2015 and January 2017. Project aimed to publicize problems of sick prisoners and formulate solution-based requests in order to provide methods to overcome current issues, as well as carrying out advocacy activities by handbooks, brochures, short informative videos and policy documents. Activities were carried out by focusing on four different groups, in order to achieve the project objectives. The first group consists of prisoners themselves, who are the main subject of the issue. Direct interviews with prisoners were planned since the project aimed to reveal the situation of the prisoners, make their problems visible, and their voices to be heard by the public. Permission has been requested from the Ministry of Justice twice, in order to visit the Metris R Type Closed Prison and to interview the prisoners, but has been declined. This deficiency was overcome by the lawyers’ visit to the Metris R Type Prison and interviewing with 12 prisoners. As an output of these visits, “Metris R Type Closed Prison Monitoring Report” was prepared. Furthermore, throughout the letters that were sent to 530 prisoners, problems of prisoners were identified and 838 applications for 167 prisoners were made to various institutions. In order to collect the data of prisons, 22 applications to the Ministry of Justice and 204 applications to the state hospitals were made based on the Right to Information Code.Health labourers forms the second group. A handbook has been prepared for them based on international criteria on how to approach sick prisoners. Thousands of printed handbooks were delivered to 204 state hospitals located in all the provinces of Turkey, non-governmental organizations founded by family doctors, who are the primary care physicians and medical associations. For the third group, which focuses on policy makers, a policy document was prepared addressing fundamental requests for resolving the problems of the prisoners living with health problems. This document was delivered to three MP’s directly and to six members through their deputy advisors, during the visit to the Parliament. In addition, Project contributed to the preparation of five parliamentary questions, which were submitted to the Parliament regarding the right to health in prison. Finally, two short informative videos filmed and shared on social media aiming to bring the problems of sick prisoners to the public agenda, which is the fourth group. The first one was displayed 49.896 times, while the second one viewed by 31.190 people. “https://hapistesaglik.com&#8221; on the WordPress page reached to 46,133 visits and 33,334 visitors during the project period. 22 interviews were conducted on health in prison and the project, while 11 news regarding prisoners’ medical condition were published with the contribution of the project. – As of 16.08.2016 there are 213.944 prisoners in Turkey, among them 44.250 are detainee and 166.244 are convicts. 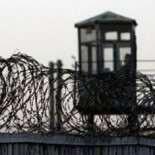 There are 372 penitentiary institutions in Turkey with a capacity of 189,264 persons. According to these numbers, there are currently 24,255 prisoners more than the capacity. “Investigation of Security Measures and Measures to be Taken Against Fugitive Events”, and also statuary decrees stipulated after the declaration of state of emergency. – The general problems reported by prisoners in 2016 to CISST/TCPS are as follows; confiscation of properties which had been allowed to keep, involuntary mass-transfers to different prisons, the increase on body search after the transfers and increase on the resort to physical force to prisoners who do not accept it, exposure to verbal and physical assault, participation of police to ward searches with no legal grounds of, limitation or total termination of right to communicate and sportive activities, limitation on the number of the books a prisoner can have, restrain on corresponding and submitting letter of applications to the administration. – Serious hygiene problems within the wards due to the excess of capacity, serious problems with toilet and bathroom cleaning, prisoners sleeping on the floor or in bed in turns because of the lack of sufficient number of bunk beds, problems with personal hygiene due to property limitation. All of these increases the risk of epidemic disease in prisons and negatively affects the medical conditions of prisoners who are already sick. – It is stated that the quality and quantity of the food have decreased in 2016. There has been an increase on the complaints regarding diet food especially. – The increase in the number of prisoner applications for ill-treatment of infirmary doctors. – Delays in hospital referrals are more often than in previous years and the possibility of regular treatment has decreased. It is stated that this situation engenders a serious risk for severe chronically sick patients. – Since the newly opened prisons are located outside the city, the sick prisoners are transferred to district hospitals with mostly insufficient equipment and expert capacity for treatment. In 2016, 36 parliamentary questions have been submitted to the Parliament regarding the right to health in prison, five of them was prepared with the contribution of CISST/TCPS.